Q: How do I get a refund of my child's lunch account or transfer funds between siblings? A: Please email paula.wilson@dcsdk12.org with details. Q: How can I make a payment to my child's lunch account? A: (a.) Go to www.myschoolbucks.com. Open an account and add your student to the account. If you need your student’s ID number, email paula.wilson@dcsdk12.org . You can pay with a credit card, debit card or online check. There are no fees charged to the parent for this service. (b.) Send a check to school with your student. Q: How soon will my online payment post to my child's lunch account? A:99.9% of online payments made to your child’s lunch account by 9am will post to their account for lunch that day. One or 2 times a year there might be an issue with the network and payments don’t post right away, hence the 24-48 hour disclaimer. Q: Why does my child have a negative lunch balance when we have been approved for the Free Lunch Program? A: (a.) Student’s must take the required components of a reimbursable meal to qualify for the free or reduced price. When the correct component is not taken by the student, the student is charged for lunch. The correct minimum components of a reimbursable meal are: 1 entree, 1 fruit or vegetable. However, a student may take 1 entree, 1 fruit, 1 vegetable and 1 milk. (b.) 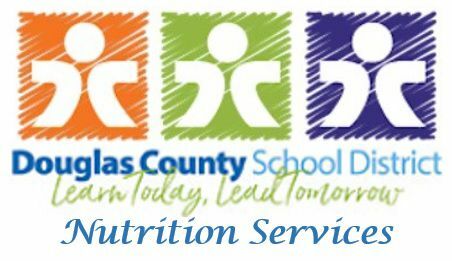 Any charges made to the lunch account before an application is approved or when the prior year free status expires after the 30 day grace period at the beginning of the school year without a new application being submitted, become the responsibility of the parent per federal guidelines. Q: I have never received or have lost my approval letter for my child who receives Free or Reduced price meal benefits. A: Please email Susan.Babineau@dcsdk12.org for an approval letter. Please include full name of child/children’s name on email. Please note that the fastest response would be e-mail.